As the market leader of award-winning Security Policy Orchestration solutions, Tufin provides enterprises with the ability to streamline the management of security policies across complex, heterogeneous environments. 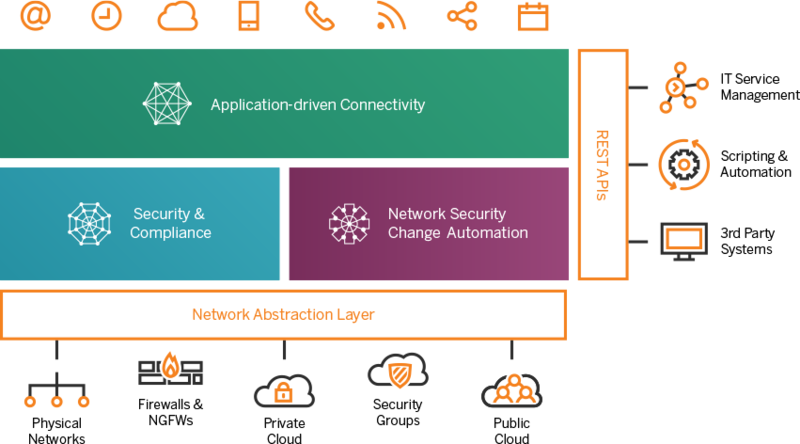 With more than 1,600 customers, Tufin automatically designs, provisions, analyzes and audits network security configuration changes – from the application layer down to the network layer – accurately and securely. It assures business continuity with a tight security posture, rapid service delivery and regulatory compliance across physical, private, public and hybrid cloud environments. Tufin enables organizations to implement network security changes in the same business day through automation and impact analysis – orchestrating change processes end-to-end across physical environments and hybrid cloud platforms. The award-winning Tufin Orchestration Suite automatically designs, provisions, analyzes and audits network changes from the application layer down to the network layer. It minimizes errors and redoes for rapid service delivery, continuous compliance and business continuity.